Indian Institute of Technology Bhubaneswar, India. Fractional Differential Equations,Functional Differential Equations, Integral and integro-differential operators. numerical techniques for ODEs and bifurcation problems in particular. Applications in Kinetic Theory, Biology and Medicine. 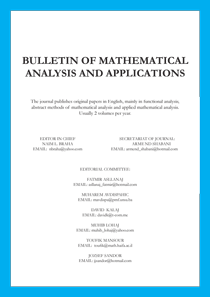 Classical Analysis (especially Summability Theory).